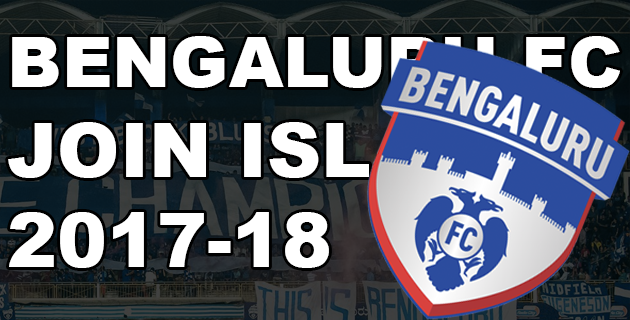 As the Indian Super League continues to grow in size and popularity, the competition welcomes Bengaluru FC into the competition. Founded in 2013 and traditionally competing in the I-League, Bengaluru FC join the ISL alongside other newcomers Jamshedpur FC. As dual participants in the ISL and I-League, Bengaluru are expected to be strong competitors in this year’s competition. Holding the honour of being the first team to win the I-League season on debut, Bengaluru build upon a much stronger foundation than other ISL clubs enjoyed in their first seasons. Bengaluru FC’s strong focus on community action and building an authentic support base means that in just three years they have already established a strong local reputation. Their solid youth platform is likely to play a major role in Indian football for years to come, alongside powerful social responsibility programs. Playing in their Sree Kanteerava Stadium, a 24,000 capacity venue, the team enjoy regular high attendance rates, which will no doubt be replicated in this year’s ISL. While winning the ISL in their first attempt would be hugely impressive, star players are abundant within their squad. For one they have former Valencia and Glasgow Celtic man, Miku Fedor, up front. The powerful forward has long been a regular at European level, and played in Celtic’s famous 2-1 win over Barcelona. Alongside him, star players include Erik Paartalu, Toni, Braulio and Edu Garcia. The strong Spanish contingent of the squad, including Dimas Delgado and Juanan, plays a major role in their style of play. Indian football legend Sunil Chhetri leads the club as captain. Having been under the watchful eye of Ashley Westwood from 2013-2016, they are now under Albert Roca, former manager of El Salvador, with experience managing the likes of Galatasaray and Barcelona. The club has won the I-League twice, in 2013-14 and 2015-16, and were runners-up in the 2015-16 AFC Cup Final. Their new jaunt into the ISL is sure to only help further their profile as one of the most well-respected and upwardly mobile clubs in the Indian football scene.